Strong shoulders and a clean silhouette complement a linear checkered pattern on this tweed jacket. Strong shoulders and a clean silhouette complement a linear checkered pattern on this tweed jacket. 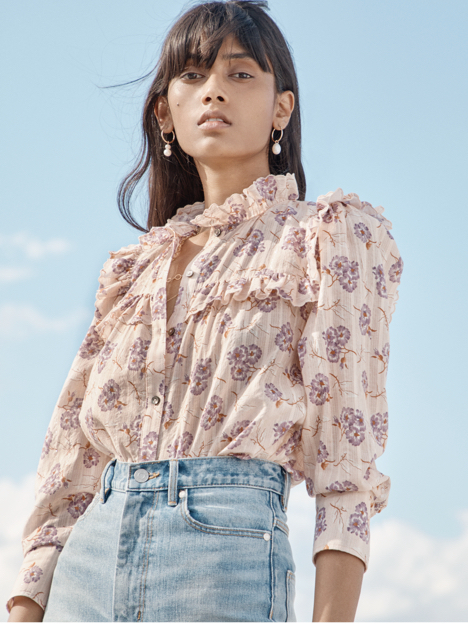 With braided trim and softly frayed edges, its design creates a dimensional effect that will complement every style, from jeans to dresses for seasons to come.